...and he’s on it: So, what's the real story? It's not Jacques Villeneuve. It's not Juan Montoya—or even Kurt Busch. 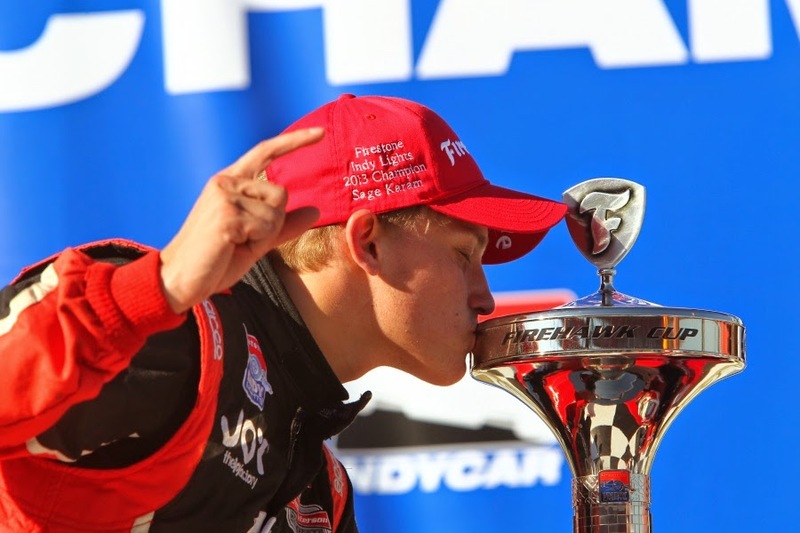 The real story of this year's 98th running of the Indianapolis 500 is Mr. Sage Karam. Perplexed? Don't be. Sure, JV, JPM, and KuBu will make a bit of a splash within the racing community, but the Verizon IndyCar Series needs new eyes. Enter high school senior, Sage Karam. That's right. If Karam makes this year's '500' field, he'll compete before he's heard the first note of Pomp and Circumstance. That's a compelling storyline the masses can relate to. And that's why IndyCar and the Indianapolis Motor Speedway, et al, should milk it for all it's worth. Pander it to the mainstream press like there's no tomorrow. "High School Senior Competes in Biggest Race in the World." There's your headline. Let's roll.